The Electric Vehicle Charging Station or EVSE (Electric Vehicle Supply Equipment) is a device that supplies a parked EV ( electric vehicle ) with the electrical energy necessary to recharge EV batteries. Plug-in-hybrid vehicle and all-battery electric vehicle ownership in Toronto, Mississauga, Etobicoke, Oakville, Brampton and the GTA is expanding. A charging station that you can count on is a necessity in a residential or commercial set up before the EV is delivered from the dealer. The Ontario provincial government set up two programs to assist Ontarians with Electric vehicle use. Please check the Electric Vehicle Incentive Program and the Electric Vehicle Charging Incentive Program. For solving "the mystery" of the Electric Vehicle (EV) visit the Electric Vehicle Discovery Centre website or their "brick and mortar" location in North York, ON. The EV Discovery Centre is not for profit, independent and not aligned with any particular manufacturer. They have several different EVSE makes and models on display and in stock (even more than their website suggests). Charging options vary from one EV model to another. 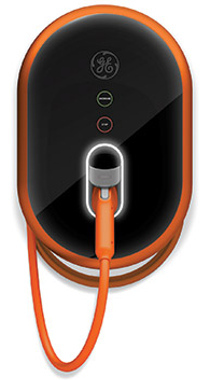 Generally, your EV contains a built in charger and will be supplied with a standard cord being a Level 1 ( Class 1 ) Charging Station. A Level 1 Charging Station is the basic 120V solution, and speeding up charging time will require use of a Level 2 ( Class 2 ) Charging Station. A Level 2 ( Class 2 ) Charging Station uses the charger built into the EV, supplies it with a higher voltage ( 240V ) and amperage, for a higher wattage and a shorter charge time. The actual numbers will change from one EV to another, depending on the EV maker and model. For the Level 2 ( Class 2 ) Charging Station there is a different Smart Cable and Smart Panel required. The Green Electrician does not stock these items and relies on the units available from reputable manufacturers. 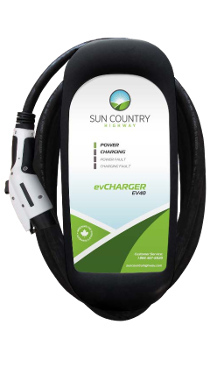 The Ontario Ministry of Transportation website publishes EVSE makes and models that are covered by the Electric Vehicle Charging Incentive. The EV plugs are standardized in North America and the plug J1772 fits all the makes and models of the regular production EVs. The price and options of the Level 2 Charging Station unit depends mainly on the fancy of the client. The Green Electrician is a Licensed Electrical Contractor and an experienced EVSE installer. 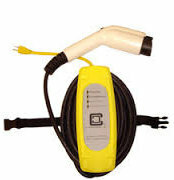 We install customer-supplied 240V, 16 - 32 Amp Level 2 ( Class 2 ) Charging Stations outdoor or in the garage, depending on customer's requirement. The installation will provide a separate electrical circuit for each Station, and will include all the hardware (required by the Ontario Electrical Safety Code) and Electrical Safety Authority Certificate.